2019 HME Business Playbook | VGM Group, Inc.
Be Proactive in 2019 with VGM Group’s Latest Playbook Series! Projections by the Census Bureau estimate the number of adults ages 65 and over could increase to more than 71 million in 2030 and hit 88.5 million by 2050. The market for treatment of obesity, COPD, obstructive sleep apnea, diabetes, and other chronic conditions continues to expand. This uniquely positions our industry to help improve the quality of life for more patients than ever before. 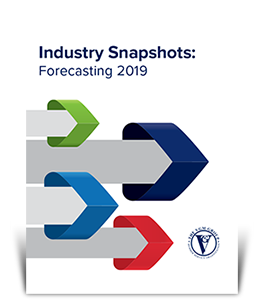 2019 looks to be a year of opportunities, and to help navigate these opportunities, the thought leaders at VGM developed a series of playbooks to help your business thrive in today and tomorrow’s post-acute health care environment. The comprehensive playbook and corresponding micro-books are a FREE resource for VGM members. Become a VGM member to gain full access and much more! Download NOW!VGM Member # required for full access. © 2019. VGM Group, Inc.. All rights reserved. We respect your privacy.